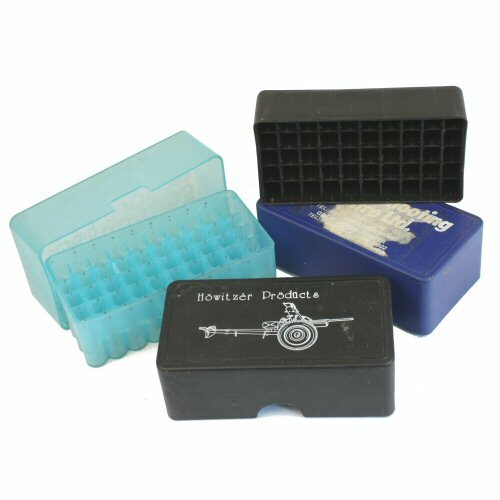 Plastic ammo box with capacity for 50 rounds for .38 or .357 cartridges. These are slip-top and the lid can be fully removed and slipped underneath the storage box. Compartments for each round keep the rounds separated. Used condition, with marks of use and some occasional branding or stickers on the top. Variety of colours including black, blue, light blue translucent and red. Priced to clear. Price is for ONE box and photo shows the different colours.